Bath, blow dry and comb out* – Bathed using hypoallergenic products; dried from start to finish Brushed – removal of dander, tangles, and loose fur. 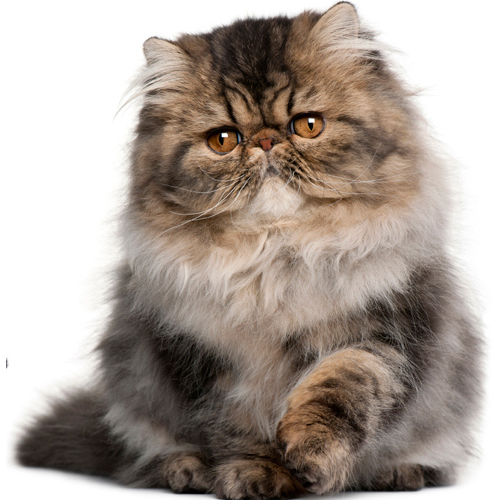 For health reasons and the overall well-being of your cat, we do not perform any grooms without cleaning the skin, and ensuring there are no hidden skin/body issues prior to the groom or during the bath. Not sure which service? 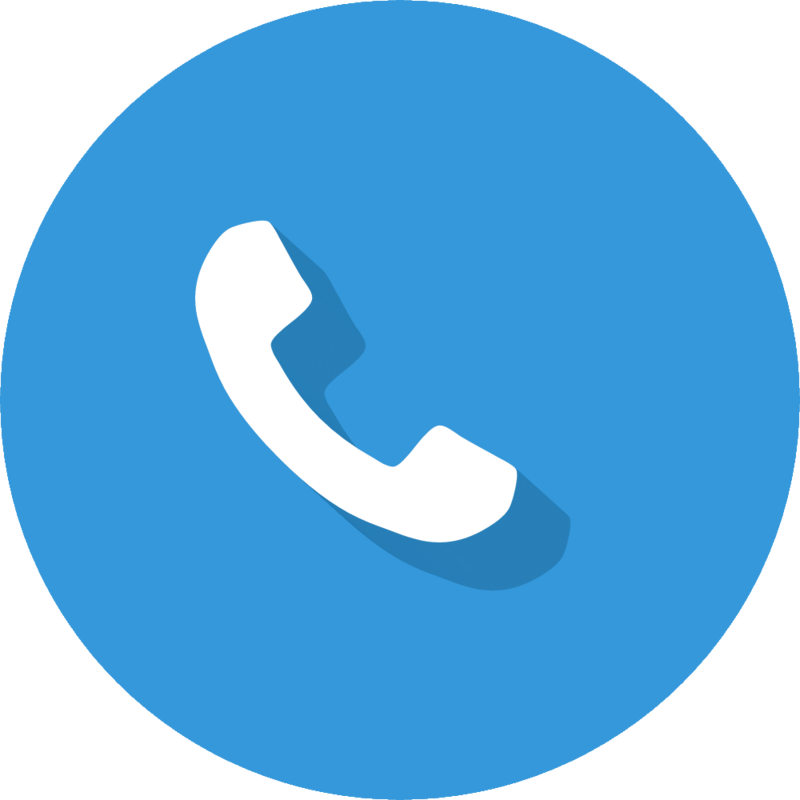 Call us to see which option is best for your kitty. 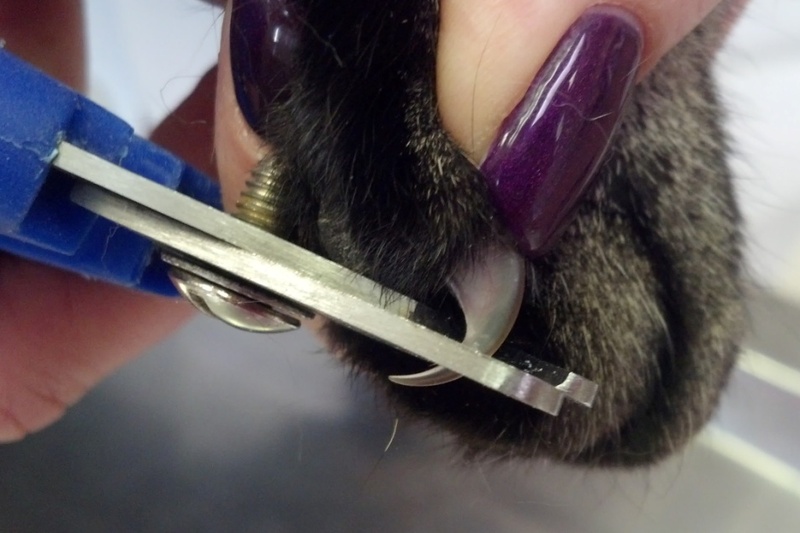 Deshed – Using state-of-the-art grooming tools, we remove as much of your cat’s loose shed and undercoat as possible, eliminating the cause of matting, and reducing the amount of fur your cat ingests. This means fewer hairballs and fur. This regime done on a routine basis can stop matting before it begins. 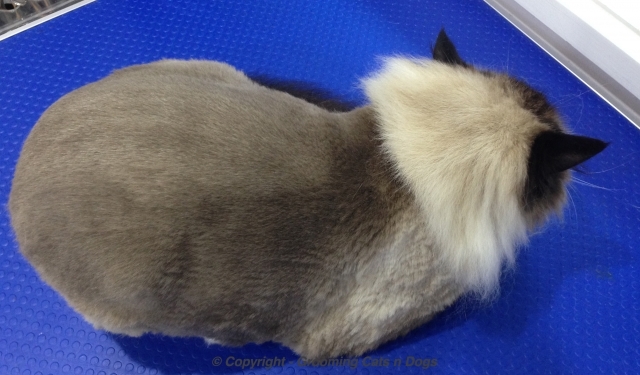 Lion Cut* – A lion cut on a cat is a close trim shave (see photo below). 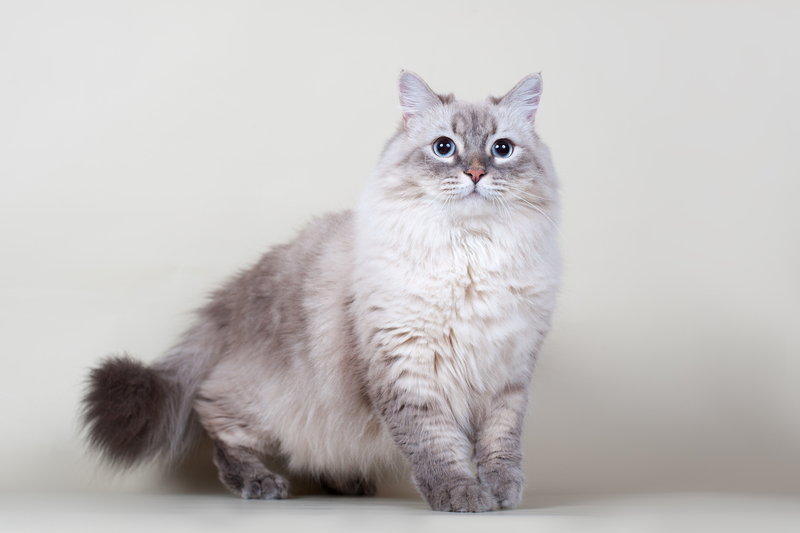 Your cat retains a natural mane with booties (fur left on most of the legs) and a pom-pom on the tail. (start at $150) If we return after we have done the initial lion cut and there is matting, pelting, it is double the price. Comb cut* (or “teddy bear trim”) Similar to a lion cut, but 1/2 inch layer of fur is left on the cat and the face is more rounded. A bath, blow dry and comb out 2 weeks prior is necessary to achieve the best results as the coat has to be perfectly smooth and free of any tangles, knots, mats and compact fur for the tools to work. Starts at $145. 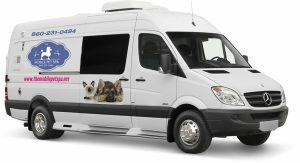 *Prices are dependent on coats with little to no matting and cats on a 4 week grooming schedule. Please note: Matted cats getting Lion Cut start at $175 – $200 and if pelted..
Pelted cats start at $300 or will be sent to a veterinarian for treatment. Matting is 100% preventable, so repeated matting due to failure to groom on a maintenance schedule will result in a doubling of all charges and will require a $100 non-refundable deposit before appointment is scheduled.